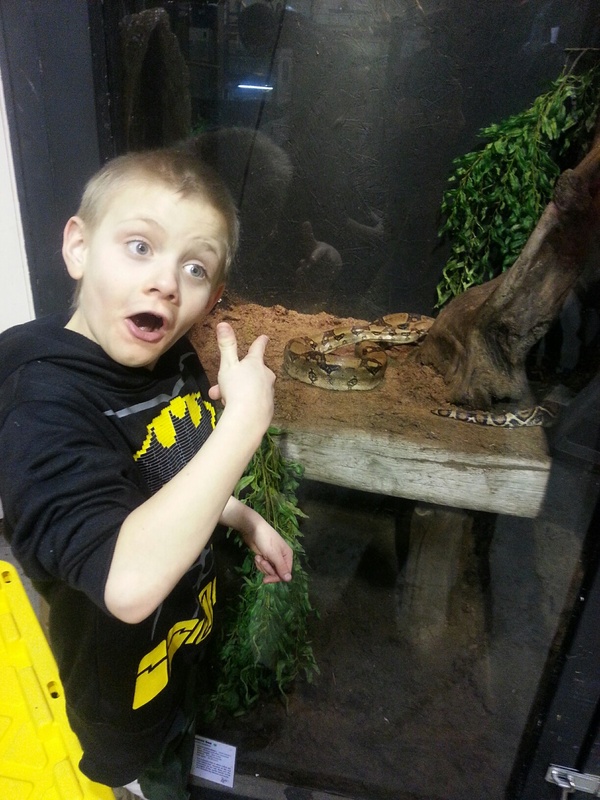 The best adventures often are not planned, and our visit to The Reptile Man, in Abbotsford, B.C, proved this. After a boring dentist trip, we needed something to keep the kids occupied until their uncle was home. A quick Google search showed that we were close to The Reptile Man and that he was open until 6! Perfect. If we didn’t have his address, we would have never stumbled upon this warehouse looking garage. As we stepped inside we found ourselves in an animal sanctuary and were surprised to see a few other families. Turtles filled a pond, waiting to be fed. Snakes of all sizes, lizards, and geckos were passed around for the kids and adults to hold. 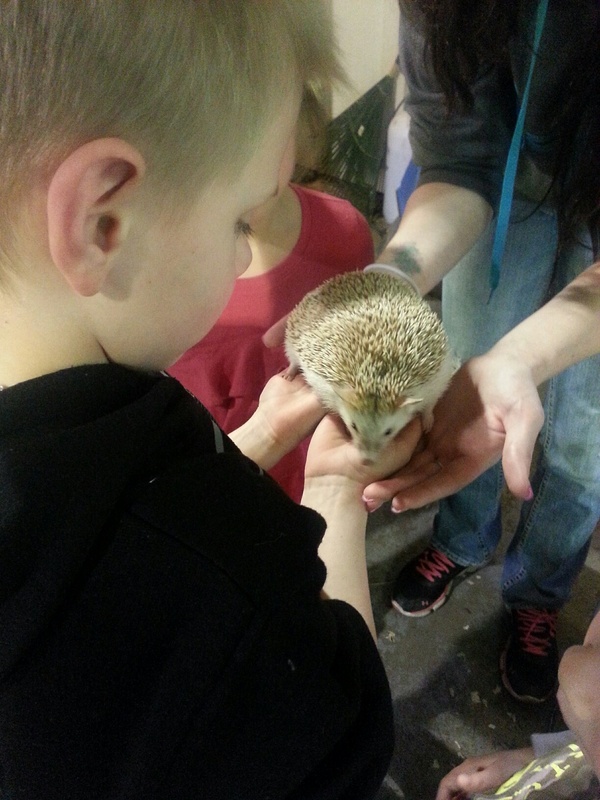 We even got to hold a cute little hedgehog! 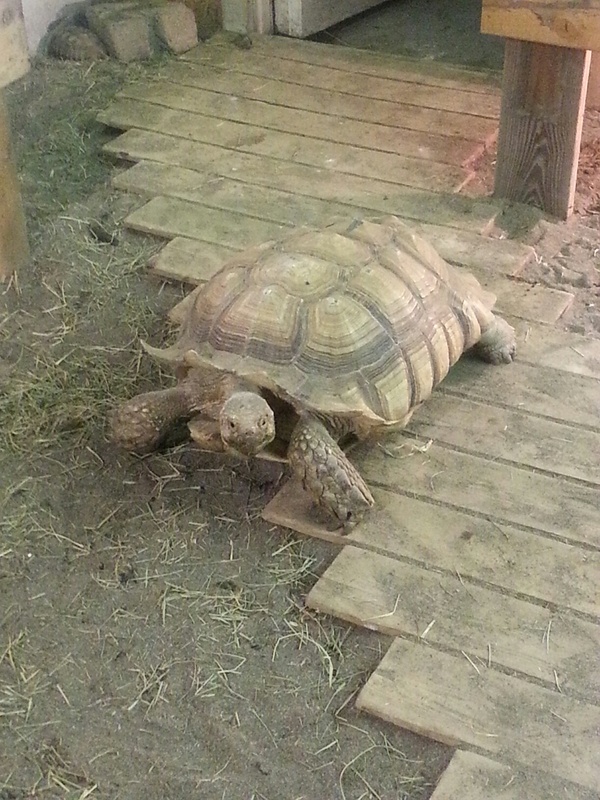 A giant tortoise wandered around freely in a gated area and a parrot like bird hopped from post to post. Then, we were invited into the back room. The very dark back room! John took this as his cue to step outside for some fresh air, but the three brave ones walked through the tortoise enclosure and into the darkness. First up was a glow in the dark scorpion. The kids and I each took our turn holding it, still unsure of what was in the terrariums surrounding us. Next was the tarantula, the reason dad was so scared:) If you know me, you know I have eaten a tarantula, but living ones still make me shiver! Grace jumped behind my back, but stayed curious enough to look over my shoulder. Keegan, when asked to hold it, looked a bit scared, so I stepped up to the plate, telling him that I’d go first and then he could do it. Once it was in my hand, all fear left me. It was fine! And I loved that I helped Keegan feel comfortable trying something a bit scary. He went next, holding the furry, eight-legged giant like a champ. Geckos jumped from one hand to the next, a blue tongued reptile licked Keegan’s nose. The kids listened to the guy teach all about each animal and how many of them were rescued or abandoned. The Reptile Man does birthday parties and presentations in order to educate children about respecting these animals and how much commitment it takes to have one as a pet. The money he makes goes to care for these creatures. It was a great couple of hours and I’d encourage anyone in the area to check it out. There was a small fee to get in, but this, along with our donation, was well worth it. We all had a blast, and this man does great work saving animals that might not have a chance. 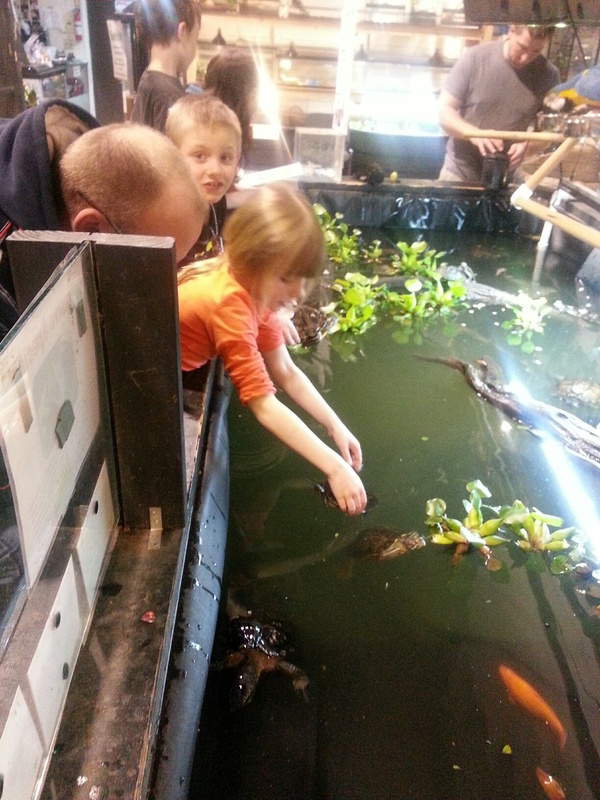 He made the kids feel very comfortable and taught them a new respect for these creatures by letting them get up close and personal. 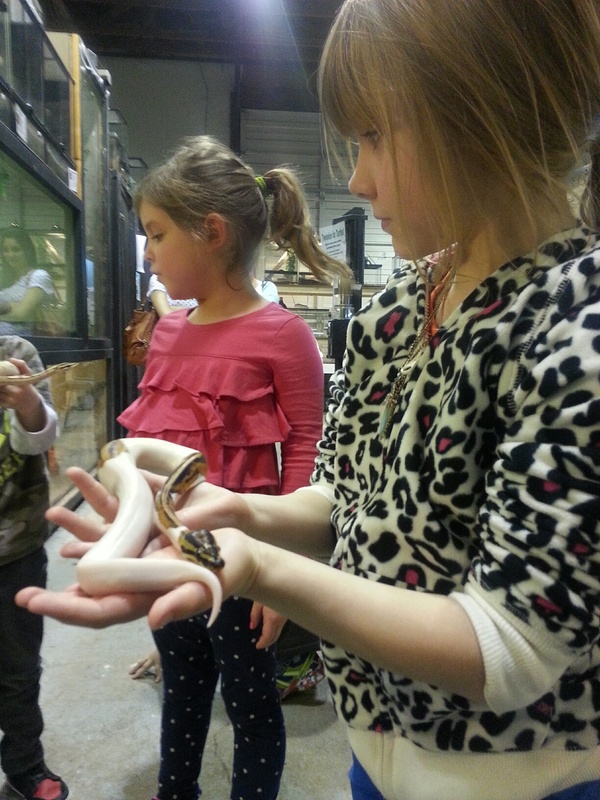 Have you been to The Reptile Man? What do you do for fun in and around Abbotsford, BC? Next I Could Win the Lottery!